Hello friends! My cherry blossom tree is in full bloom right now. I wait all year long for the short couple of weeks when my front yard is fragrant and awash with pink petals. 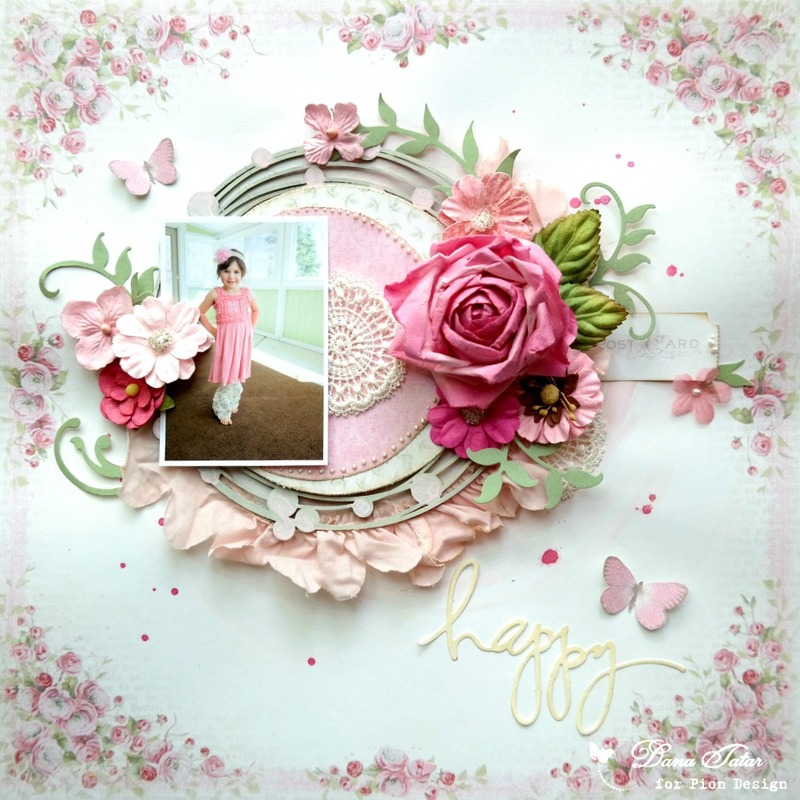 I was inspired to create a layout with the beautiful Cherry Blossom patterned paper from the Easter Greetings collection to help celebrate Spring. I started this page with a pink watercolor swirl and some pink ink splatters. I then piled on ribbon, chipboard, patterned paper and flowers. I absolutely love to finish my layouts with some Pion Design butterflies. Thanks for stopping by today and think Spring! Hi Dana, I love your design with this fantastic paper and the color scheme. The sweet little girl is well placed in scene. A wonderful creation.